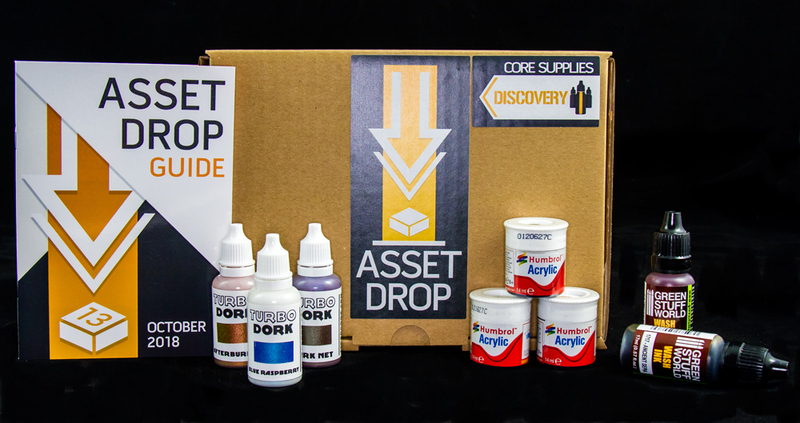 Find Out what's inside an Asset Drop Discovery Box! 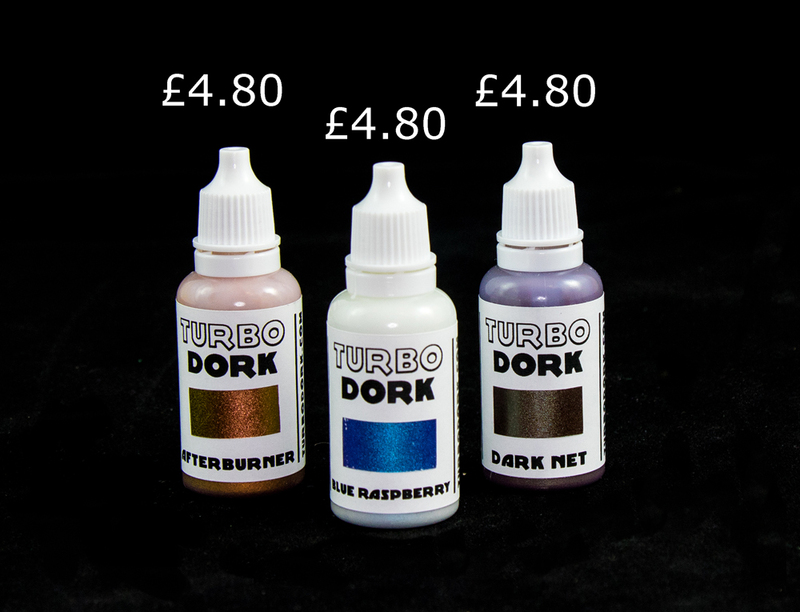 October's Drop featured some exciting products, starting with a brand new paint manufacturer from the USA - Turbo Dork! This innovative start up is creating a line up of amazing colour-shift paints and metallics in a huge range of fun colours. We featured three of their shifts in October's Box, as well as an exclusive interview with their Founder, Greg, which you can read on our blog here. Alongside Turbo Dork, we also feature a trio of acrylic paints from a longstanding company in the hobby - Humbrol. Often overlooked, these little pots of paint are both affordable and high quality, making them a great paint to invest it. Finally, we featured a duo of Ink Washes from Green Stuff World, part of their brand new range! These paints were a fantastic discovery for me: they are very high quality, come in a range of really interesting colours and have stunning colourshift effects. To feature in October's Discovery Box, we chose Blue Raspberry as the most pronounced shift effect. It shimmers from a vibrant blue through purple to a beautiful pink colour - ideal for anything magical, such a a Wizard's cloak. As the most subtle effect, we chose Dark Net - a deep black colourshift moving up to a cyan/ green colour for a brilliant 'alien technology' look. It's ideal for anything sci-fi. Finally, as the third paint we went for a triple shift effect. Yes, that's right, three colours! Afterburner is a gorgeous golden paint, shimmering from a yellow gold to an orange gold and up to a green at the end. It's the ideal colour for a unusual looking treasure effect. Humbrol are a long standing paint brand in our hobby, producing paint for over 80 years now! I find they're often overlooked because of their cheaper price tag, but after trying a set out myself, I realised they're actually pretty great! 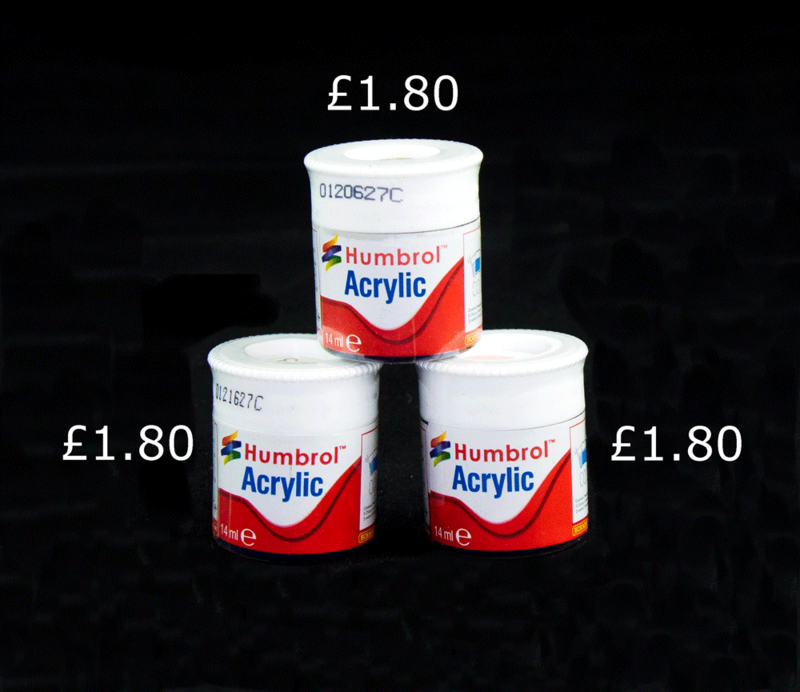 The Humbrol Acrylics range have a good selection of colours, though they are more geared towards mimetics. You won't find many bright fantasy colours here. The paints themselves come in 14ml pots for a tiny £1.80! That makes them very affordable if you want a colour you don't intend to use often (and therefore don't need a larger pot). The paint itself is decently pigmented, it goes on the mini smoothly and all in all, is great. 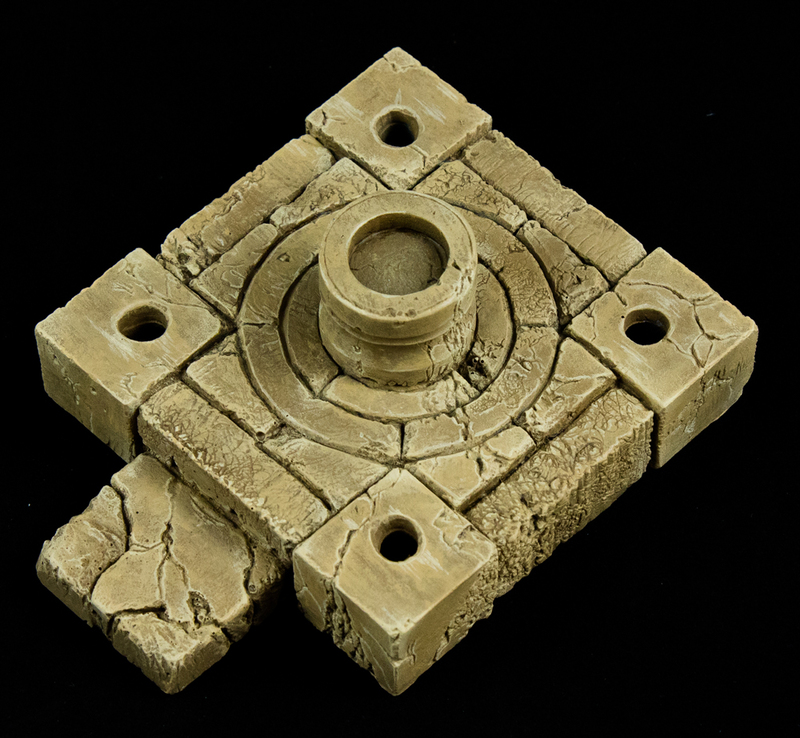 In the Painting Guide, we went through a sandstone tutorial using the Khaki, Brown Yellow and Cream paints to produce a nice stone effect. We also used the Ancient Sepia wash from Green Stuff World (below) to complete the effect. Two washes from the Acrylic Inks line by Green Stuff World. 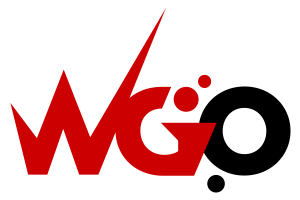 Finally, we featured a pair of washes from the new Acrylic Inks line by Green Stuff World. We chose Ancient Sepia, which is a wonderful greeny sepia perfect for old buildings. This worked nicely with the sandstone colours from Humbrol too. Places on our Discovery subscription are always limited with only a few opening up each month. Sign up for the latest box, if it's available, by clicking the link below!